Where was TopRank® Online Marketing talked about on the web this month? The following roundup of news links will answer exactly that. If there was news about social media marketing, blog marketing, SEO or digital PR published online in July 2009, there’s a very good chance TopRank was mentioned. At least it seems that way from the large list of pickups below. TopRank Blog was the star this month, receiving numerous mentions from publications ranging from BtoB Magazine to being ranked a top 5 marketing blog by 4 different web sites. Note: This month we’re playing a little catch up with our Online News Coverage, including mainstream media and blogs mentioning TopRank® Online Marketing from the last part of June as well as all of July 2009. 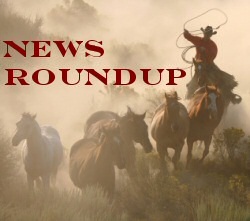 Since we do get so many mentions, on a go forward we’ll be posting a list of news coverage each Friday. MarketingProfs – Where SEO Yin Meets SM Yang. TopRank Blog is cited for a post that explores the intersection of SEO and Social Media. BtoB Magazine – 7 Ways To Develop A Unique Brand For Your Blog. TopRank Blog post by TopRank’s Adam Singer cited by BtoB. Denver Post – Colorado trio hurl social-media pitches. 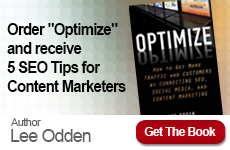 TopRank CEO Lee Odden is quoted on the merits of social media strategy. Small Business Trends – Why SMB owners should care about SEO. TopRank Blog was cited for a post on how to hire a SEO firm. Marketing Experiments – SEO shortlist: 10 search optimization sites and resources. TopRank Blog was cited for the BIGLIST of SEO blogs. Social Media Today – Use A Creative Commons License As An Online Marketing Tool. Adam Singer’s TopRank Blog post was featured. Biznology – Social Media is Direct Marketing. Mike Moran cites a TopRank Blog post that questions how Direct Marketing and Social Media intersect. WebProNews – Online Reputation Management in the Future. TopRank CEO Lee Odden is cited on the value of online reputation management. ACH Communications – PR Rock Stars: A Conversation with Lee Odden. TopRank’s CEO is interviewed on video about the future of search marketing and new opportunities for search. MediaTrust – Do You Tweet Performance Marketing? TopRank CEO Lee Odden is cited as a great source of all things social media. Search Engine Watch – Search Engine Watch Awards. TopRank CEO Lee Odden is listed as a judge for the 2009 Search Engine Watch Awards. Outspoken Media – Can Direct Marketing Survive in Social Media? A TopRank Blog post about Direct Marketing and Social Media is cited. Search Marketing Standard – Editor’s Picks. TopRank Blog is cited for a post on strategic link building. Bulldog Reporter’s Daily Dog – When Google Sees Your News Page as a Blog. TopRank Blog is cited for a post on blogging and content management systems. St. Paul Pioneer Press – Social Media Spreads the Word for Ford. TopRank CEO Lee Odden is cited in an article on how Ford is using social media to promote the Fiesta brand. Search Marketing Standard – Editor’s Picks. TopRank Blog is cited for a post on search engine optimization readiness. Examiner.com – Social Media Marketing – What NOT to do. TopRank Blog is cited for a post about social media best and worst practices. BtoB Magazine – 18 Questions to Assess Readiness of Content SEO. TopRank Blog is cited by Editor Tequia Burt as a great primer for content SEO. HubSpot TV – Blog Branding Bonanza. TopRank Blog is cited for a post on ways to develop unique brand for a blog. eMarketing and Commerce Magazine – From the Blogosphere. TopRank Blog was cited for the post, “Subscribers Are Vital For An Online Marketing Growth Strategy”. Expo Web – Sweet Tweet: How to use social phenomenon Twitter for live events. TopRank Blog is cited for a post on Twitter marketing. Search Engine Watch Blog – Lee Odden of TopRank Chats About Intersection of Search and Social Media. AdWeekMedia Connect chat featured TopRank’s CEO. PRSA comPRrehension – SEO Tips For Public Relations: Top 10 Tactics To Improve Content Search Performance. TopRank CEO Lee Odden contributes a featured article for PRSA industry blog. Performancing – The Top 50 SEO & SEM Bloggers Worth Following. TopRank CEO listed as a top SEO blogger. Ragan’s PR Daily – 50 ways to fail on Twitter. TopRank Blog was cited for a post on Twitter tips. Conversation Agent – The Agency Side of Business, Walking the Talk. 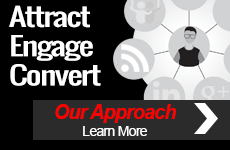 TopRank was cited as a notable agency that also “walks the talk” with social media. ProCommunicator – What is social media? TopRank Blog post, “Best & Worst Social Media Practices” was featured. Get Elastic – Are You Taking Advantage of Webmaster Tools? TopRank Blog post, “6 Tips for Google Webmaster Tools” was cited. MediaPost News – Around the Net in Search Marketing, Lee Odden Talks SEO. AimClear interview with TopRank CEO on SEO and Social Media was cited. Young Entreprenuer – The Essential Blog List for Online Marketing. TopRank Blog is ranked #3 in a top ten list of online marketing blogs. Junta42 – Top 42 Content Marketing Blogs. TopRank Blog was ranked #4 in a list of top content marketing blogs. Franchise King – 20 Small Business Blogs That Have The Right Stuff. TopRank Blog was ranked #5 in a list of small business marketing blogs. Digitalia – PR Professionals: 6 Things To Help Get Your Content Found Online. Video interview with Lee Odden, CEO, TopRank Marketing. Communications Conversations – Top 20 Minnesota Social Media Innovators. TopRank CEO listed as a top social media innovator in MN.